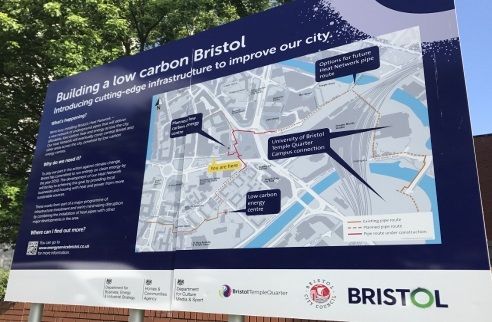 Bristol City Council identified heat networks as a key means to decarbonise the city’s heat. 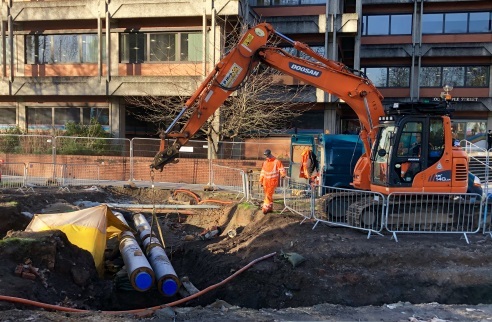 BCC focussed on constructing heat networks in the Redcliffe and Temple areas which were identified as the initial network clusters from which to develop district heating throughout the city. The initial Redcliffe network project involved connecting thirteen housing blocks to a centralised energy centre with provision for further connections for a school, commercial buildings, private residential and hotels in the area. 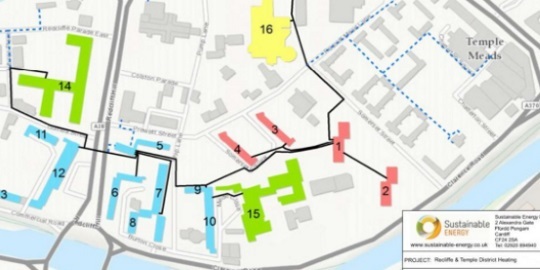 Further commissions were to expanded the network in the Temple area, connect additional gas CHP energy generation and strategically link areas of the city for future low carbon heat connections. 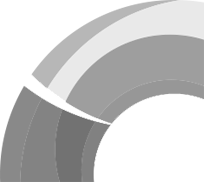 We have provided the services from masterplanning, feasibility, detailed design, contracting, principle designer and overseeing commissioning of the energy centres, substations and buried heat networks. We were appointed in 2014 for the design, delivery and commissioning of the Redcliffe heat network which comprised biomass energy centre and the heat network to connect sixteen buildings comprising social housing. The Network design was future-proofed to allow additional private heat customers and extend to the planned wider network to be connected in future phases. 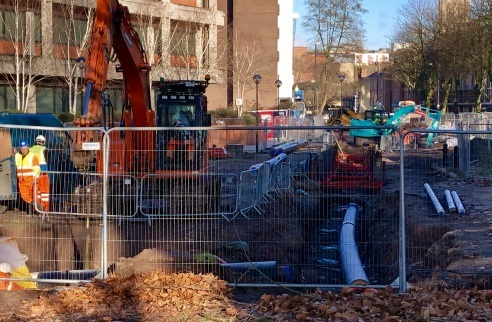 In 2016 we were appointed to deliver the buried network across the Temple Circus and to connect the Temple Area of the city with the Redcliffe network. The installation of the heat main was to coincide with the construction works for the development of a new road layout. We were commissioned to design the heat network, assist in the procurement of contractors and oversee the installation of the pipework. Specialist sections were designed in partnership with 3D Technical Design Ltd who assisted the design and overseeing of the installation of the complex sections across the Temple Circus. In 2018 our work continued to develop the Temple network which included the design of a second CHP energy centre, extend the network to connect new developments through the Temple area of the city. The Redcliffe and Temple networks currently comprise two energy centres, one that incorporates a 1MW wood pellet boiler, thermal storage and 4MW gas boilers with further design completed for second energy centre incorporating gas CHP, thermal storage and a further 4MW of gas boilers. The two energy centres include distribution pumps to provide variable temperature supply in to the network zones. The networks were also designed to allow for future expansion to support the Council’s plans to supply additional buildings including hotels, a school, private residences and offices; the future-proofed design will allow the network to receive heat from other low carbon sources such as connections to future heat pumps and energy from waste sources outside the Temple and Redcliffe network area.